So you’ve bought your first electric guitar, you’ve learned a few neat riffs and chords—but already you want something else. 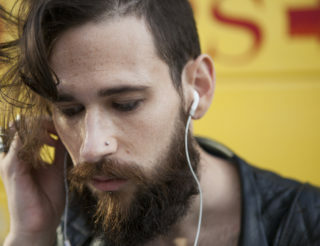 Something to help you sound more like the guitar heroes you listen to every day. What you need is some effects—or “stomp”—pedals. But what should you get? There is a huge amount of effects pedals available. A lot of famous guitarists still prefer stomp boxes—it looks like they’re using multi-effects boards, but really they have dedicated switch boards that specialist technicians wire up to an array of pedals inside. But let’s not get ahead of ourselves. What are the best stomp pedals for a novice player? 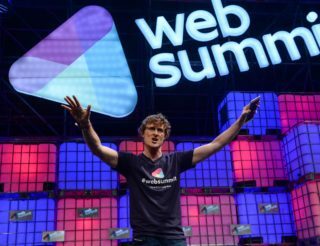 Here are five I recommend that will give you an excellent head-start. And I’ve taken into account that your guitar amplifier probably has a basic overdrive setting and maybe a spring reverb, so let’s not double-up on those. These aren’t budget-priced, but they’ll last a lifetime. Seriously, in twenty years they’ll be scratched, dented and stomped on a million times—and still work. The trick with delay effects is not to have them too loud unless you’re deliberately playing along with the echo, creating a harmonising effect, a method pioneered by Brian May of Queen. A delay effect is used by a lot of players, ranging from a very short “doubling” effect you hear on country music solos to long settings in metal and progressive rock. This is a digital pedal, not analogue (but it has an analogue mode). 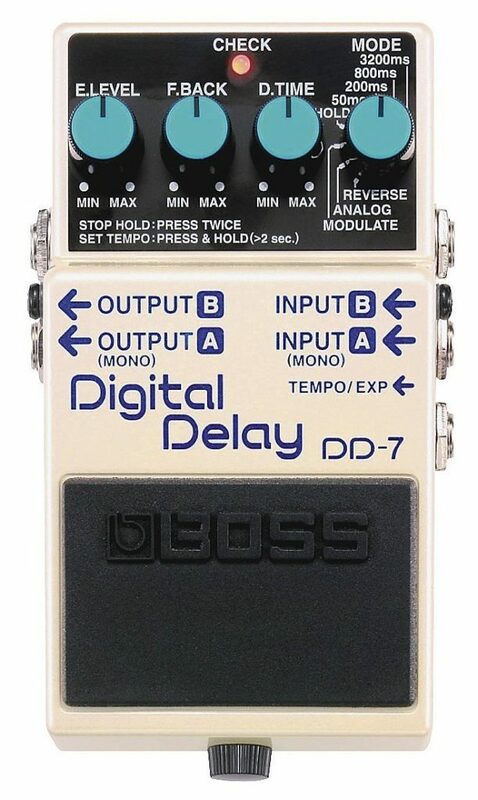 Digital pedals let you set the delay times more accurately so you can synchronise with the BPM of a song or DAW, plus the quality of a digital delay’s echoes doesn’t change—it sounds the same as the original until the delays fade away. With an analogue delay pedal the echoes lose sound quality over the repeats, but this isn’t a bad thing. Some players don’t like the clean, bright sound of a digital pedal. This pedal can do heaps, it’s versatile and you’ll never need another delay pedal again. PRO TIP: The trick with delay effects is not to have them too loud unless you’re deliberately playing along with the echo, creating a harmonising effect, a method pioneered by Brian May of Queen. Otherwise, keeping the delay subtle and in the background adds more body and sustain to your playing. Putting a reverb at the end of your stomp pedal chain is usually best. You can create huge, atmospheric soundscapes with a big reverb. I did say that I wouldn’t double-up on any effects you’ve probably got in your guitar amp—but that will be a Spring reverb, a classic sound from the very early amplifiers. A fully-featured reverb stomp pedal can give you very long, rich reverbs that are an excellent effect, rather than just a means to thicken up the sound. You can create huge, atmospheric soundscapes with a big reverb. At the same time, a short reverb will give you that full tone, too. Spring reverbs in amplifiers are only a vintage sound and can be harsh or brittle. 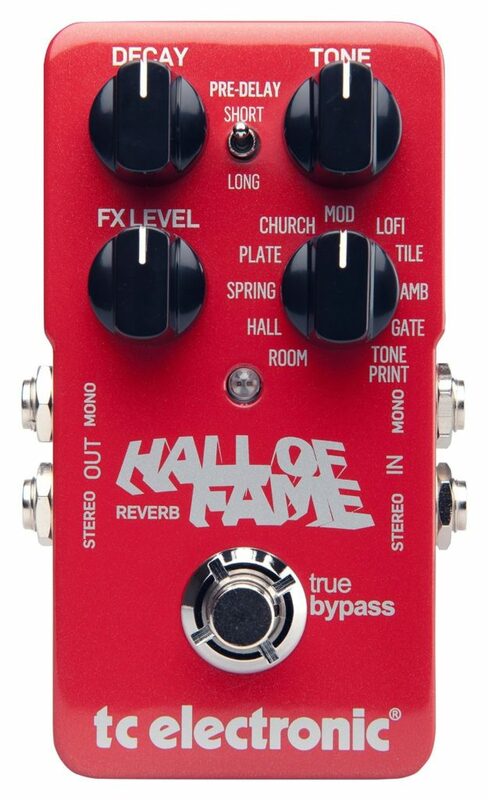 The other types of reverbs offered by this pedal are different altogether and well worth getting the all-in-one effect. PRO TIP: Putting a reverb at the end of your stomp pedal chain is usually best. A chorus pedal adds a magical sound to clean tones, or combined with a distortion effect it can make a really full, heavy metal power-chord tone. A chorus pedal adds a magical sound to clean tones, or combined with a distortion effect it can make a really full, heavy metal power-chord tone. But clean sounds are where a chorus effect really shines. Cranked up to full it makes a spacey, swirling effect that can be overdone, but it’s a good way to hear what a chorus is doing, before dialling it back a bit. A chorus pedal adds modulation and delay to one half of a split signal and sounds like a second guitar in the background. Some pedals let you add anything up to five “voices” (thus the name “chorus” like a choir of voices) and you can create some fantastic effects. PRO TIP: If you have a pickup installed in an acoustic guitar, try the chorus pedal. It can sound awesome. Ibanez stopped making it for a while, then had to bring it back by popular demand. 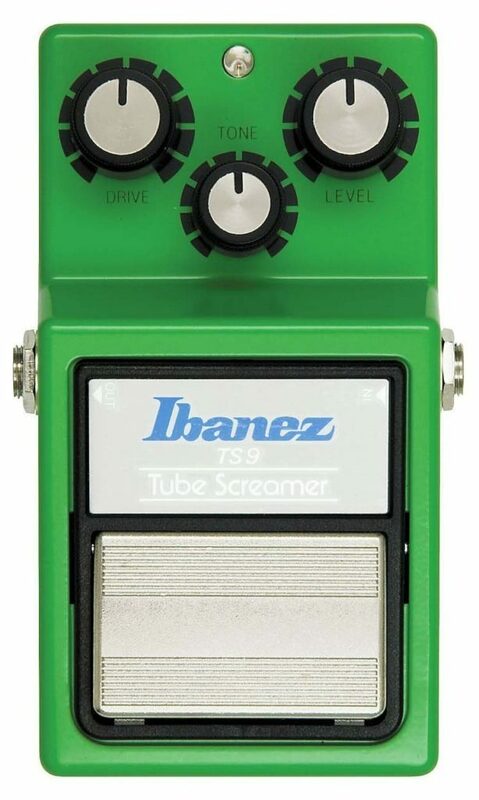 There are countless distortion pedals around, but the Tube Screamer has a special place in electric guitar history. It became popular when transistor-designed amplifiers became available that didn’t have vacuum tubes in the circuitry—an essential ingredient in an over-driven sound from an amplifier head. The Tube Screamer added that grit and distortion back in, replacing the noise of tubes running into the red, and did it so well the effect earned a reputation all of its own. Ibanez stopped making it for a while, then had to bring it back by popular demand. But it’s important to know that a Tube Screamer isn’t a heavy effect—it doesn’t create a wall of speaker-shredding metal mayhem. It creates a more subtle bite, an edgy distortion that can cut through without being overwhelming. That’s why it’s a good stomp pedal to include here. You can learn how to create distortion from very low levels to a smooth crunch, whereas a lot of true distortion pedals can’t be backed off from serious grunge even at minimum settings. PRO TIP: A Tube Screamer with a small distortion setting and extra volume makes for a good, clean solo boost. In a nut shell, compressors can even out playing, making the soft notes louder and clamping down on loud ones. They say—and it’s true—that the best compressor effect is one you can’t hear. Compressors do some pretty clever things, but it’s not an in-your-face effect and many new players quickly give up on them, because they don’t take the time to learn how compression works. You rarely want to use compressors at extreme settings, but again it’s a good way to hear what’s going on. In a nut shell, compressors can even out playing, making the soft notes louder and clamping down on loud ones. They also add sustain, keeping those hanging notes ringing a lot longer. 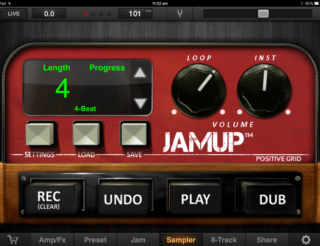 And some compressors will add a nice distortion, if you overdrive the input. There are many different kinds of compressor, both digital and analogue, and with varying designs they create unique sounds. So you’ll see plenty of choice. 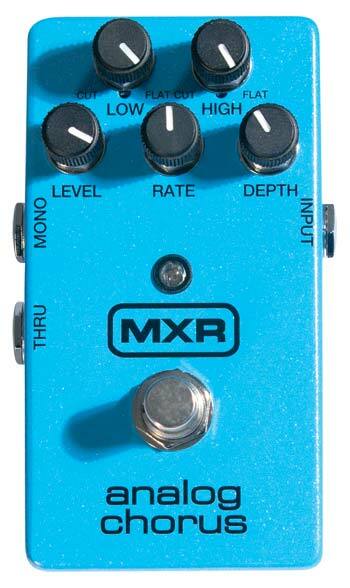 For a basic stomp box compressor with individual controls—vital for learning—this pedal is great. 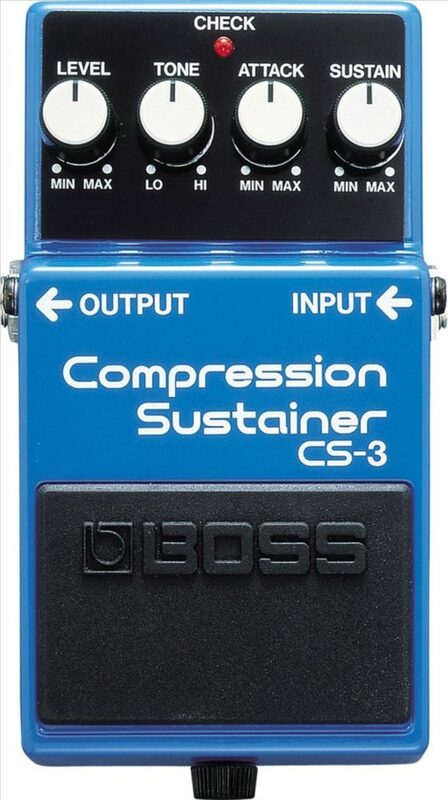 PRO TIP: A Compressor pedal works best at the beginning of the pedal chain, smoothing and sustaining the playing so the other pedals get a consistent signal. All kinds of exciting stuff starts to happen and you’ll notice that the order in which you have the pedals connected can make a big difference to the final tone. Experiment and discover what each pedal has to offer by itself. Then later begin running more than one effect, which means the different pedals feed an effected signal into the next one, not a clean sound. All kinds of exciting stuff starts to happen and you’ll notice that the order in which you have the pedals connected can make a big difference to the final tone. Although I’ve made suggestions about what pedal should go first and last, these five pedals can be arranged any way you want. All together that’s twenty-five possible combinations—it’ll keep you busy for a while. Have fun and enjoy the noise. PRO TIP: If you’re running your stomp pedals on battery, always disconnect the guitar cables when you’re not using them. The input plug “grounds” the power supply, so even turned off pedal uses a small amount of battery. Unplug the cables to save battery life.